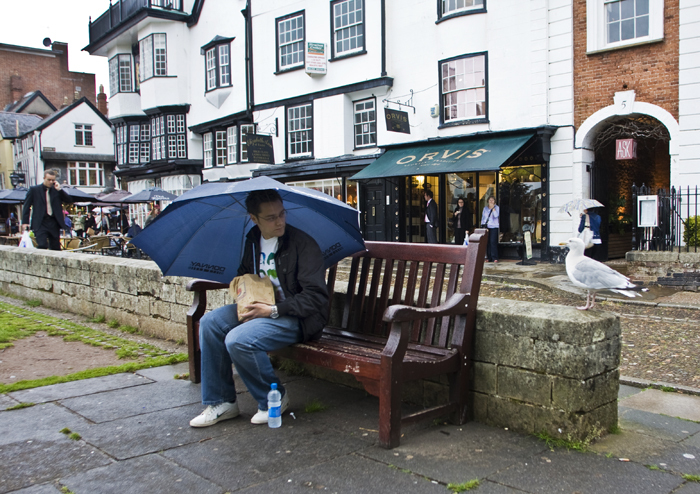 A wet afternoon lunch interupted by scavenging seagull next to Exeter Cathedral, Exeter, Devon, England. 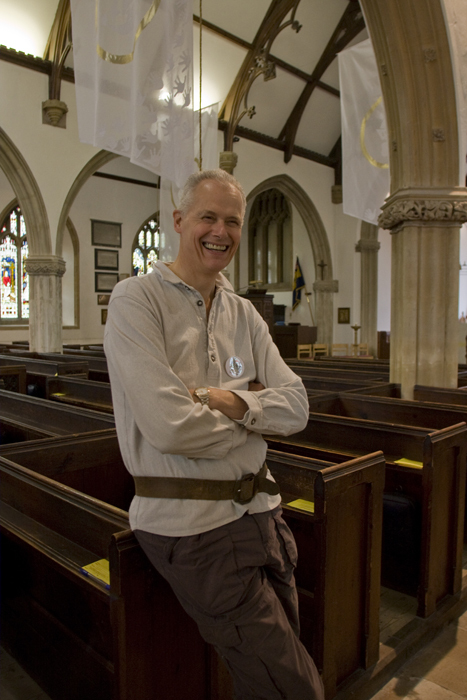 Brian helps with the celebrations for the 600th anniversary of the Lympstone Chruch. Lympstone, Devon, England. 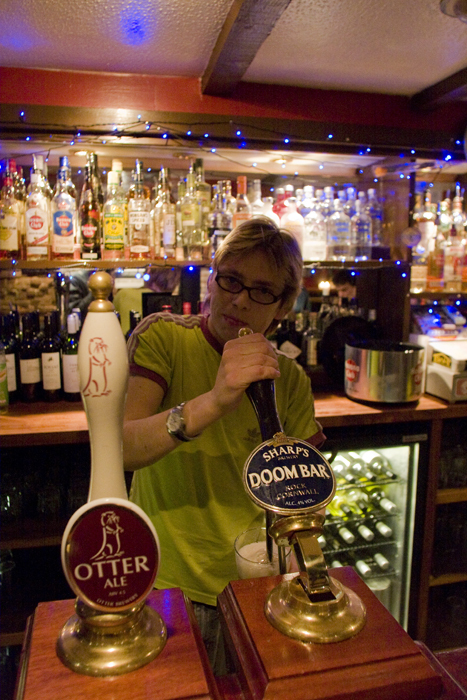 Pouring a pint of DoomBar Beer in The Angel Pub, across from Central Train Station, Exeter, Devon, England. 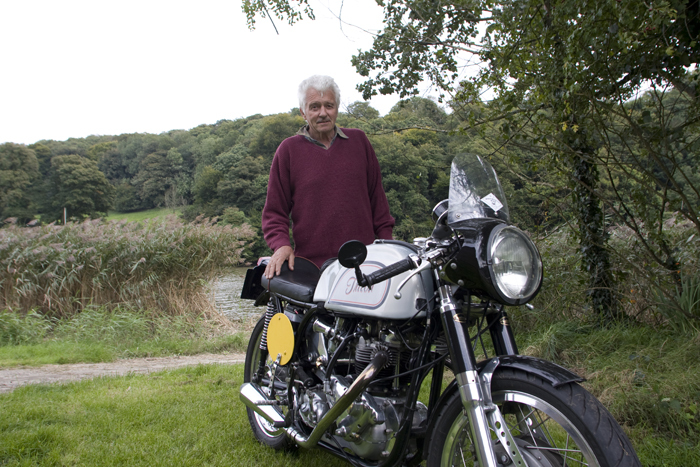 At the Cotehele Quay, beside the river Tamar, with a Norton Motorcycle, Cornwall, England. 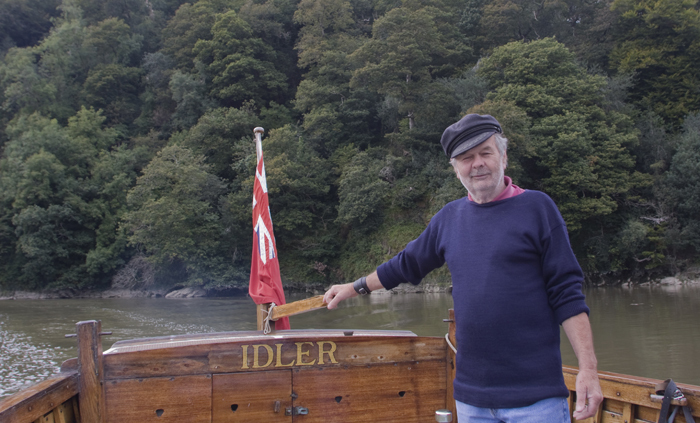 The captain of our Cotehele-Calstock ferry, on the river Tamar, at the Devon/Cornwell border, England. 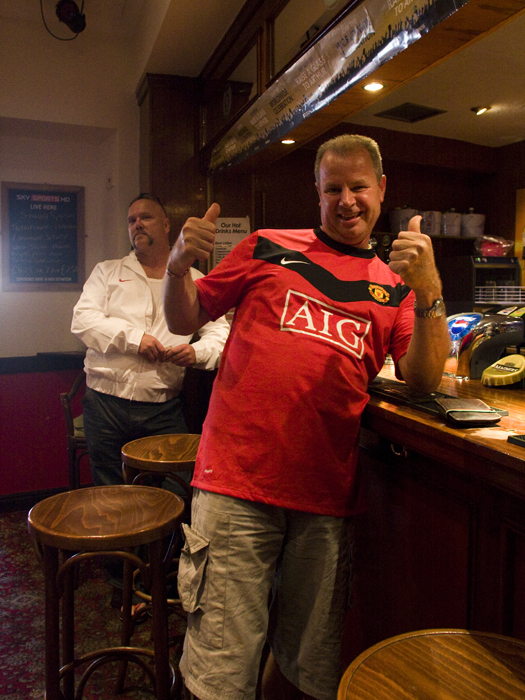 Celebrating a Manchester United victory over Manchester City at a pub called The Bank, Exmouth, Devon, England. At the Exeter Library, Kathy creates my new library card, Exeter, Devon, England. Maria and Andrea, my mistresses of hair cutting, at Andrea's Hairdressing, Lympstone, Devon, England. 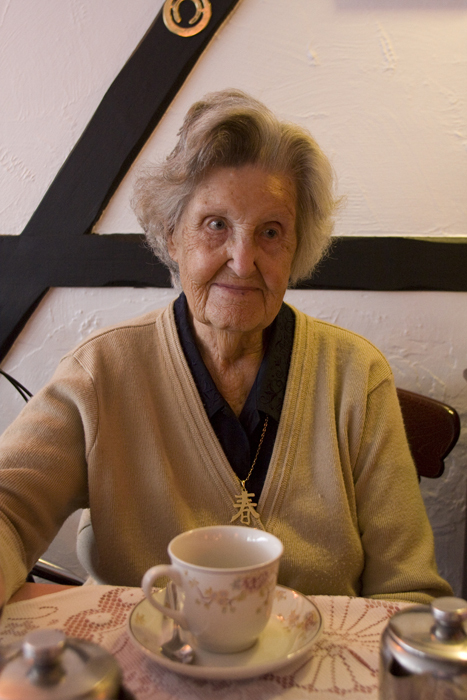 My Grandmother in The Dolphin coffee shop on the high street Budleigh Salterton, Devon, England. 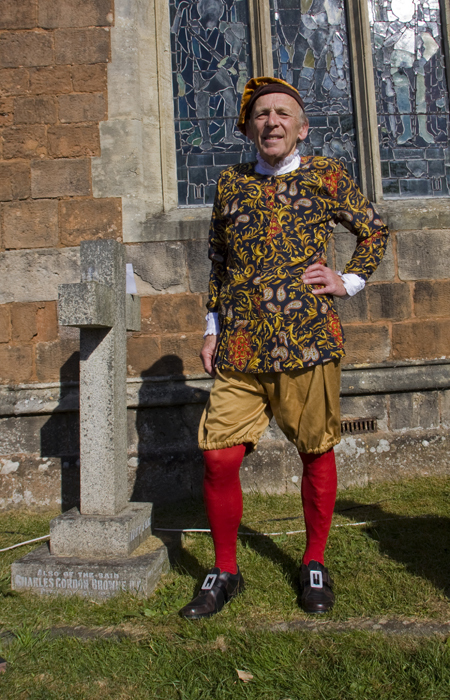 Ralph Rochester, dressed in medivial regalia, moments after reading his poem celebrating the 600th anniversary of the Lympstone church tower. Lympstone, Devon, England. 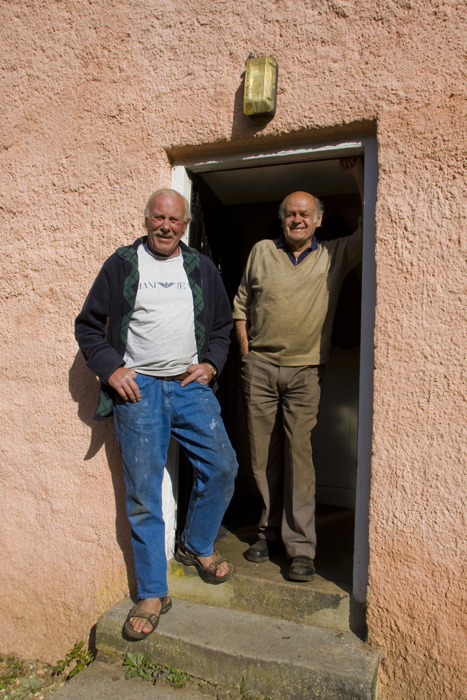 At the farmhouse door in the lanes above Lympstone. Devon, England. 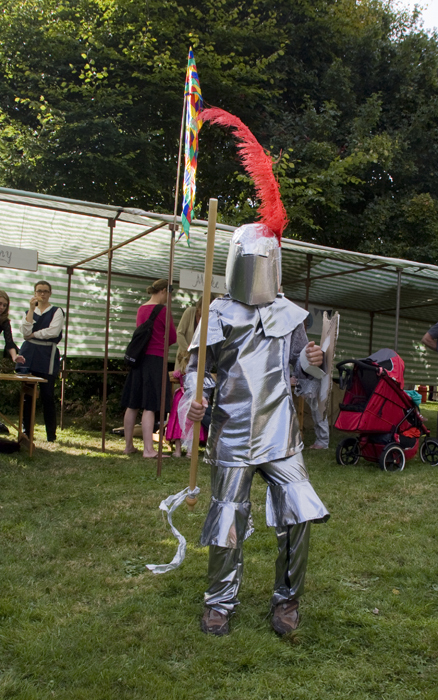 A Young Knight at Lympstone Churches' 600th anniversary fete, Devon, England. 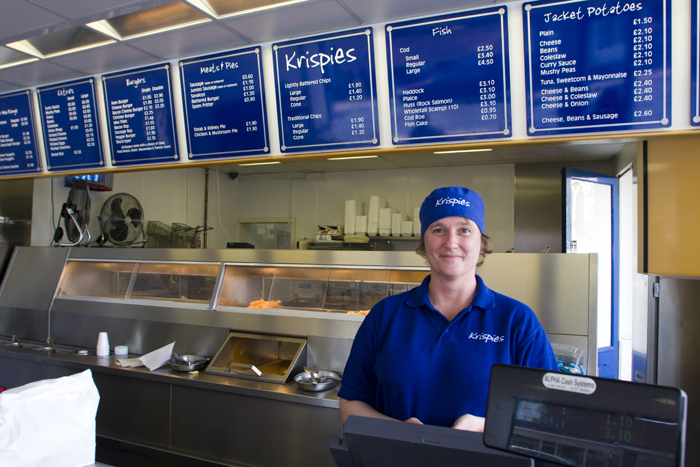 My mistress of sausage and chips, Exmouth, Devon, England. 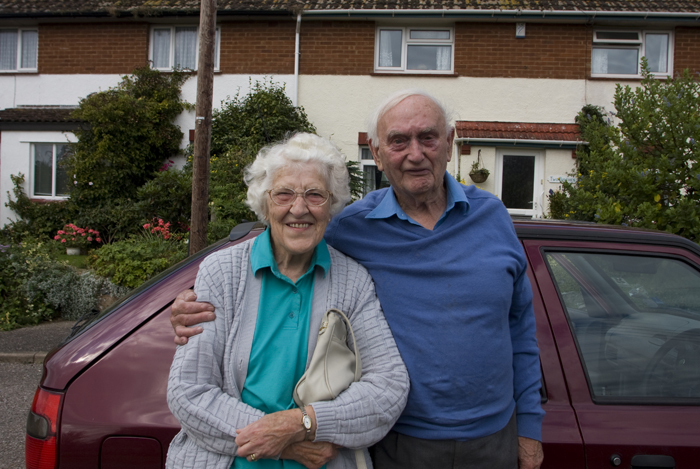 Yesterday was their 58th wedding anniversary, Budleigh Salterton, Devon, England.